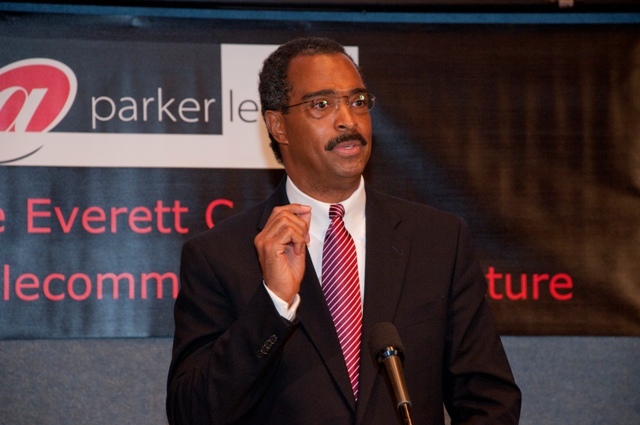 The Everett C. Parker Ethics in Telecommunications Lecture was created in 1983 to recognize Parker's pioneering work as an advocate for the public's rights in broadcasting. The event is the only lecture in the country to examine telecommunications in the digital age from an ethical perspective. We honored three individuals who exemplify Dr. Parker's achievements. Read our press release about the event. If you missed the event don't worry, we've got some video highlights below. In addition to our honoreees, we were pleased to have the UCC's General Minister and President, Reverend Geoffrey Black offer the invocation and introduction and UCC member Bradley Thomas singing, at the closing, "A Change is Gonna Come." 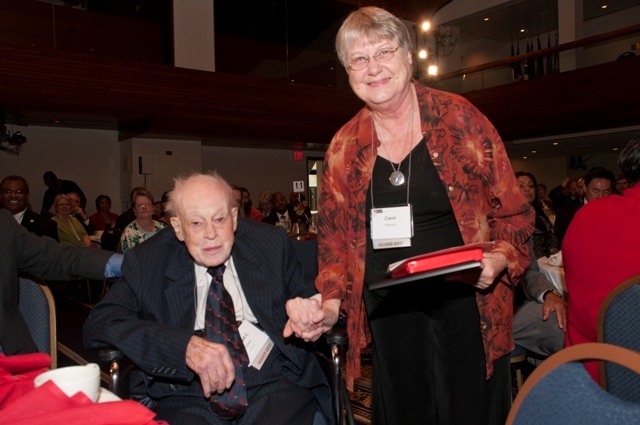 Carol Pierson, the recipient of the Everett C. Parker Award, and Dr. Parker, who traveled down from New York City at 97 years old. Remarks by Rev. Dr. Everett Parker. Video of remarks from Carol Pierson. Mr. Marcellus Alexander accepting the Donald H. McGannon Award for furthering the interests of women and people of color in the media industry. Video of Marcellus Alexander. 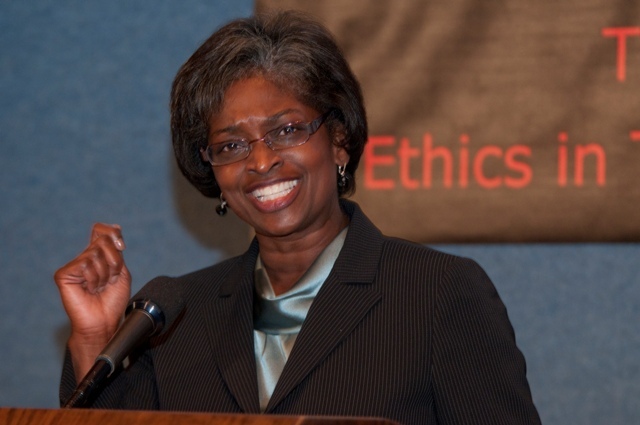 FCC Commissioner Mignon Clyburn giving her remarks as the 28th Annual Parker Lecture in Ethics and Telecommunications. Video of remarks from FCC Commissioner Mignon Clybur n.
For more information about our honorees and the awards, click here. If you would like to support the Parker Lecture and the work of OC, Inc., please click here. OC Inc. would like to thank our sponsors for their generous support. 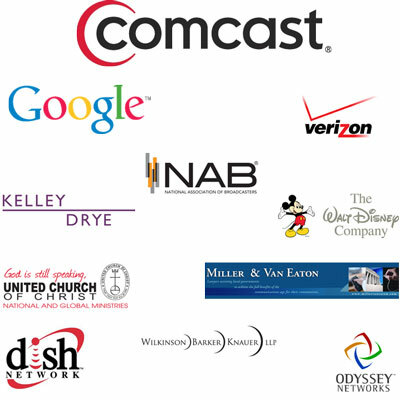 The lecture depends on sponsorship from the communications industry, along with communications offices of major faith groups.